Offering a unique variation on a floral theme, this stunning range by French illustrator Malika Favre features a geometric pattern, highlighted by an exotic peacock motif. 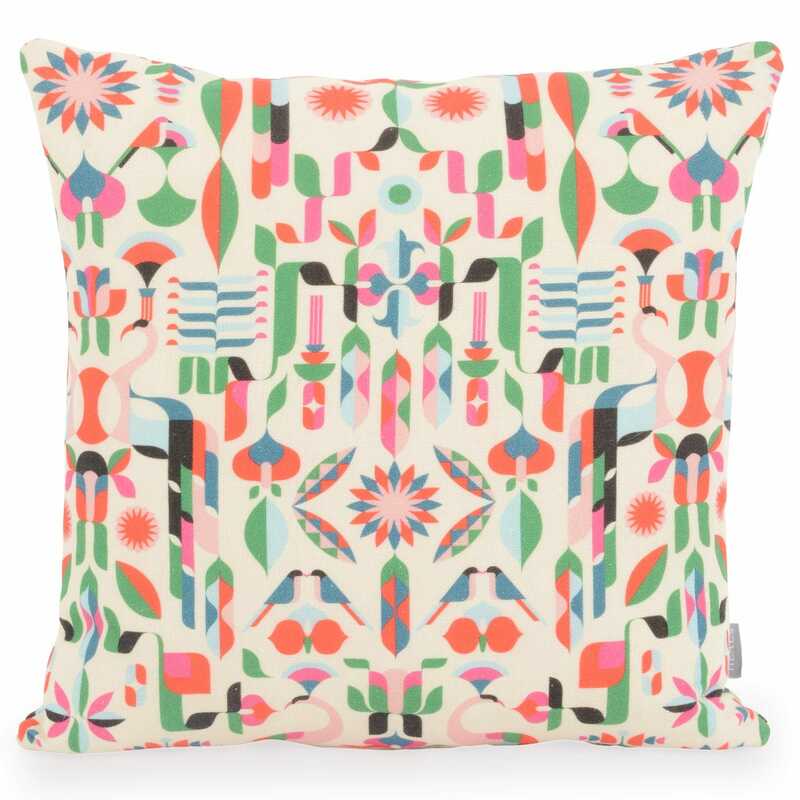 Mixing a vibrant palette of baby blues, pales pinks and primary reds, this modern styled cushion is made from comfortable line and cotton blend. Delightful cushion, lovely pattern and texture of fabric.